The GuildMag Annual 2018 magazine is available through December 4! It’s filled with 100 pages of art, editorials, fashion, and fiction exploring to the flow of magic throughout Tyria. All of the content is created by members of the Guild Wars 2 community to celebrate their love of the game and support a good cause. 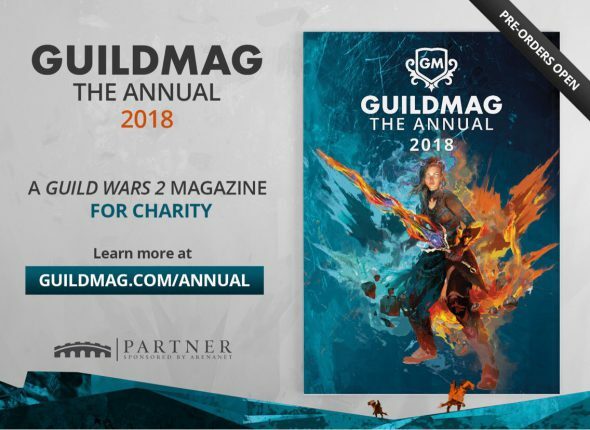 For each preorder, GuildMag will donate $5 USD to World Child Cancer, an organization helping children across the world access life-saving cancer treatments. There are only two weeks left to support this project, so preorder your copy today!